The Imperial Hotel Taipei always provides warm hospitality to guests.Operating under the philosophy of persistent improvement and changes with its customers in mind, the hotel not only evolved into its new classic European look at the moment. it also provide world-class facilities and services expected in a 5-star hotel. The Imperial Hotel Taipei is chosen by world famous celebrities such as Japanese superstar Takashi Sorimachi, the Royal Shakespeare Company, violinist Accardo, the Australian Chamber Orchestra and so on.The Hotel is located right in the heart of Taipei's commercial, business and entertainment center. Within few minutes are a number of shopping center, the famous Nanking West Road, Lin Shen North Road business district, Shin Shin Cinema, Cash Box KTV, Ching Kwang Market and other tourist attractions such as the Taipei Art Center, Chiang Kai-shek Memorial Hall, National Palace Museum and Yangmingshan National Park - all within 20 minutes drive. For more information about the Hotel, please contact the Front Desk. We shall be glad to help you. All 326 appointed rooms serve with 42 LCD TV and high-speed internet. 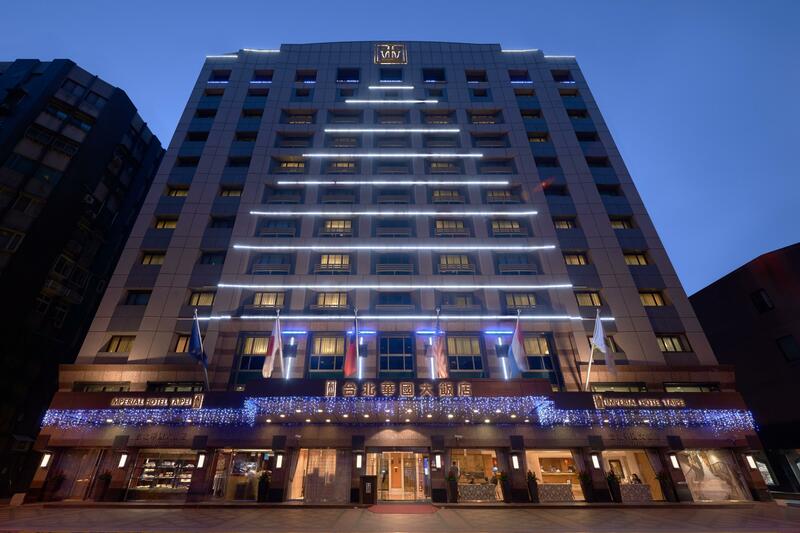 The cozy environment and friendly personal service makes Imperial Hotel Taipei the choice of leisure and business travelers from all over the world. In order to provide you a variety of dining experiences, the Imperial Hotel Taipei offers 4 distinctive restaurants. (Front Page Bar, Sonoma Grill, Imperial House Chinese Restaurant and Le jeu du pain) Enjoy world-class cuisine with our 5-star service. To TaoYuan International Airport:36 Km (About 40 minutes by driving)To Taipei SonShan Airport：8 Km (10 minutes by driving)To Taipei World Trade Cente.DRIVINGParking spaces are available around the Hotel. Guest and diners can also avail of the free parking service. Free valet parking at your disposal.MRTTake the MRT Zhonghe-Xinlu Line and get off at ZhongShan Elementary School Station. Walk towards Lin Shen North Road. It takes only 5 minutes to walk to the Hotel.Take the MRT TamSui Line and get off at MinChuan West Road or YuanShan Station. Walk towards Lin Shen North Road. It takes only 10 minutes to walk to the Hotel.BUSFrom Taipei Railway Station, take Bus No. 218, 220, 247, 260, 287, 310 or ChungShan Line and get off at the Tatung Company Stop. It takes only 5 minutes to the Hotel.